Vehicle data expert CARTELL.IE reports today (8th June) that the proportion of vehicles offered for sale (across all years) with finance outstanding is 9.5%. Cartell.ie also reports that more vehicles for certain key registration years are being offered for sale with finance outstanding than last year. From a sample of over 5,906 vehicles offered for sale and checked via the Cartell.ie website in 2016, the figures show that 29% registered in the last three years are offered for sale with finance outstanding. In the case of one-year-old vehicles (2015) the levels of vehicles offered for sale with finance outstanding has risen from 23% for the equivalent period last year to 27% in 2016 – representing an increase of 17%. This means there is now more than a one-in-four chance of a one-year-old vehicle bring offered for sale with finance outstanding. Similarly in the case of two-year-old vehicles (2014) there is a 28% chance of a vehicle being offered for sale with finance outstanding. 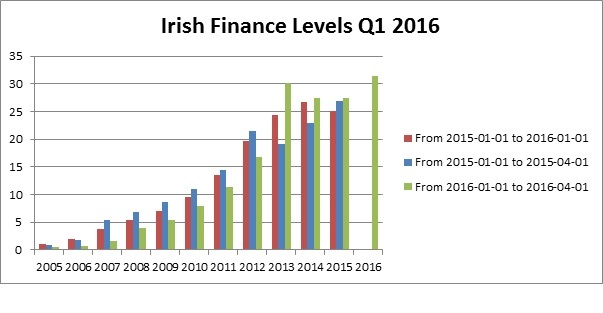 Statistics published by Cartell.ie indicate that buyers have almost a one-in-three chance (30%) of purchasing a three-year-old vehicle (2013) with finance outstanding. 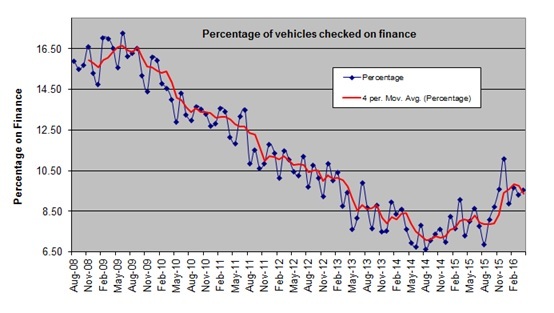 Even older vehicles are regularly offered for sale with finance outstanding – 7.9% of all 2010 registered vehicles offered for sale had outstanding finance against them.